Imagine building a business in which every interaction with another human being is an extraordinary experience. imageOne, a Document Lifecycle Management company, has worked hard to make that vision a reality. imageOne's signature characteristic is its culture of customer service. The company's dedication to extraordinary customer service has generated millions in revenue and landed them a spot on the list of Forbes 2017 Small Giants: Best Small Companies in America. 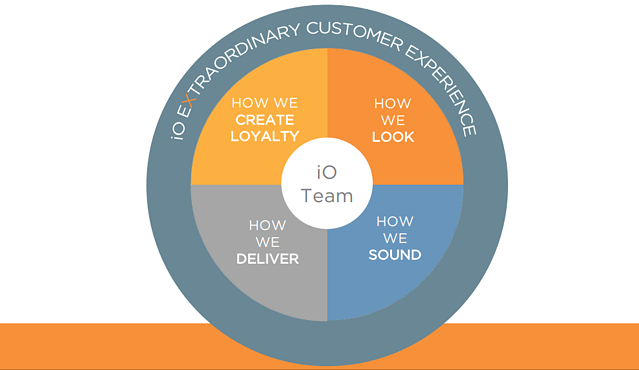 What separates good customer service from extraordinary? Extraordinary means, "beyond what is usual, ordinary, regular, or established." In the Small Giants Community's September 2017 fishbowl, imageOne Co-founder and CEO Joel Pearlman shared how imageOne has defined and systematized its process for delivering extraordinary customer experiences. If your company is committed to doing the same, here are the four key quadrants you should master. A great customer service experience begins with a strong first impression. imageOne has developed a code of conduct that ensures customers see team members at their very best. When interacting with another person, every team member is committed to presenting themselves as approachable, organized, fresh and clean. Whether it's a client, a prospect, or a member of the community, you want everyone to experience interactions that are clear, simple, and extraordinary. Consistency is key — if the situation isn't right, wait until it is. From the state of the office, to clothes, to business cards, you want customers to see you at your best every single time. All team members should be committed to doing what it takes to deliver a great first impression, and owners back employees up by supporting their efforts every step of the way. What does extraordinary customer service sound like? In short, it's friendly, positive, real, and genuine. Companies with great customer experiences are often described as great listeners — and that includes virtual interactions. Whether you're interacting with customers in person, on the phone, or through written communication, you should be creating a voice for your organization that conveys genuine care. From sending an invoice to hosting a luncheon, great customer service sounds helpful, attentive, and happy. Train your team members to be present and friendly, and provide them with the tools to do what they say they are going to do. Creating a result that delivers on the promise of your service is the most powerful move you can make. Wondering how to ensure your employees are truly as happy as they sound? It's all about creating extraordinary experiences for your employees, too — that's how you'll create a cycle of care for owners, team members, and customers. When your team members are out in the field delivering customer service, how do they quantify truly great customer experiences? imageOne has developed an equation to measure the success of each interaction: easy + efficient + reliable + extra = extraordinary (e² + r + X = extraordinary). From a sales call to an invoice, anything that touches a client should deliver on each aspect of this equation. In order to take your customer service to extraordinary heights, think about how you can add "extra" into every single aspect of your process. If you're looking for fresh ideas, invite your team members to participate in an exercise to "Solve for 'X'". Ask team members to brainstorm ideas for adding something extra to their role in the customer experience. These ideas don't have to be big — in fact, they are often simple, low-cost, or entirely free. Empower your team members by asking them to creatively innovate and you'll likely be amazed by the ideas they bring to the table. Send these ideas out to the larger team and decide which you'll add to your customer experience. The outcome will be a checklist of opportunties for extraordinary experiences that every team member understands and is empowered to deliver. F = focus on our customer's goals. A = anticipate our customer's needs. B = build genuine relationships. If you're adhering to these three tenets, your organization will learn to speak the language of the customer and focus on what's important to them, not just you. You'll also get better at staying ahead of and meeting their needs and contributing ideas that help grow their business. Most important, you'll begin to build relationships that really stick, creating loyalty and genuine care that result in not only financial returns, but an extraordinary experience for everyone involved. Looking for more tips on customer service? Watch Joel Pearlman's Fishbowl: "How to Deliver an Extraordinary Customer Experience." 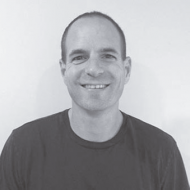 Joel Pearlman co-founded imageOne in 1991, but his journey began in ninth grade when Joel and best friend Rob Dube launched their first business – selling Blow Pops out of their school lockers. This is when Joel and Rob fell in love with entrepreneurship. Joel realized early on that their passion to deliver an extraordinary customer experience would be key to their success. It is this passion that continues to be the driving force behind imageOne’s success. Now 50+ team members strong and celebrating its 26th year in business, imageOne specializes in document lifecycle management. Businesses across the country rely on imageOne to manage their internal printer environments and creatively solve document workflow challenges that save both time and money. After reading the book Small Giants, by Bo Burlingham, partners Joel and Rob became obsessed with building an amazing company culture and giving back. The company has received numerous awards for its culture including “101 Best and Brightest companies to work for” and has been featured in the following books: Traction and Rocket Fuel, by Gino Wickman; Finish Big by Bo Burlingham; and Zingerman’s Guide to Good Leading, by Ari Weinzweig. Finally, Joel is most proud of imageOne being Ranked by Forbes Magazine as one of the Top 25 small businesses in America for 2017.